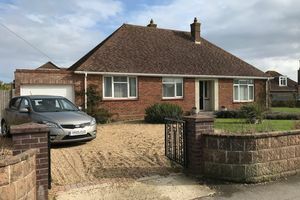 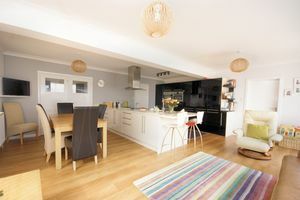 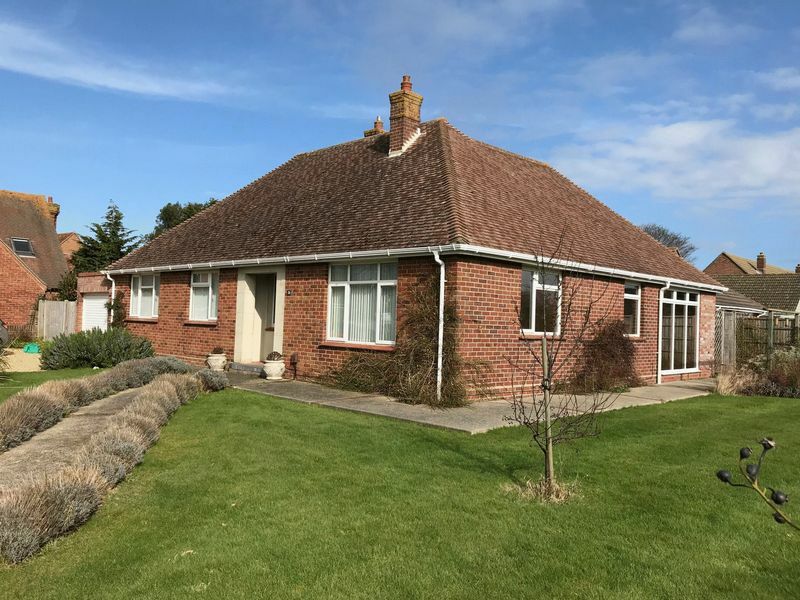 Situated in a prime location within Lee on the Solent and being within close proximity to the High Street and seafront, this truly delightful and much improved detached bungalow is set within well maintained gardens. 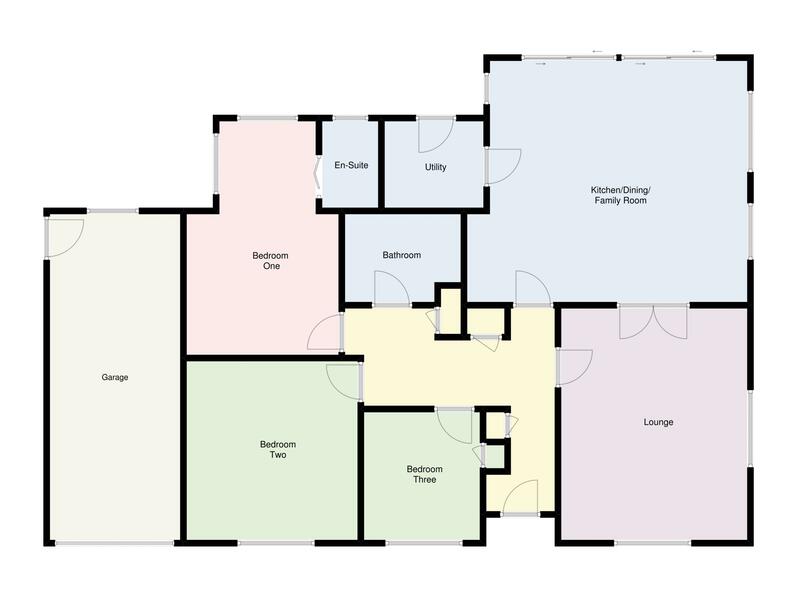 With obscured UPVC double glazed windows to front elevation, coved ceiling, radiator, cupboard housing gas and electric meter, consumer units two storage cupboards with shelving, picture rail, further two cloaks cupboards, radiator, access to loft space, karndean flooring. Coved ceiling, Karndean flooring, double aspect with UPVC double glazed windows to front and side elevations, double opening doors to kitchen, radiator, modern gas fireplace. Flat ceiling, UPVC double glazed door to rear, extractor fan, fitted with a range of base cupboards and matching eye level units, stainless steel sink unit with mixer tap, recess and plumbing for washing machine, continuation of Karndean flooring. 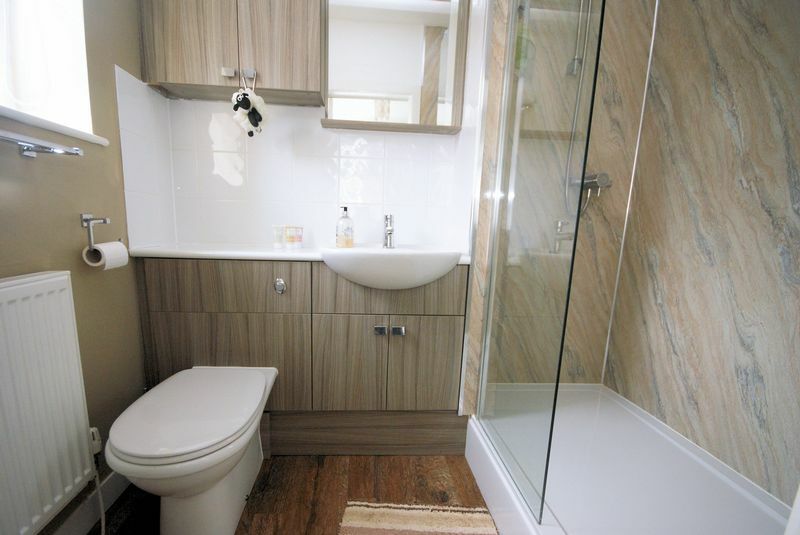 Flat ceiling, close coupled W.C with concealed cistern, wash hand basin set in vanity unit, double shower cubicle with mains shower, radiator, fitted mirror, eye level vanity units with inset spotlight, obscured UPVC double glazed window to rear elevation, karndean floor, extractor fan. 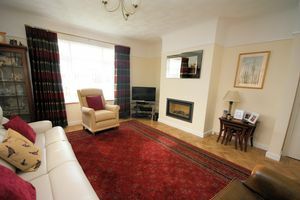 Another good sized room with coved ceiling, picture rail, UPVC double glazed window to front elevation, Karndean flooring, radiator. 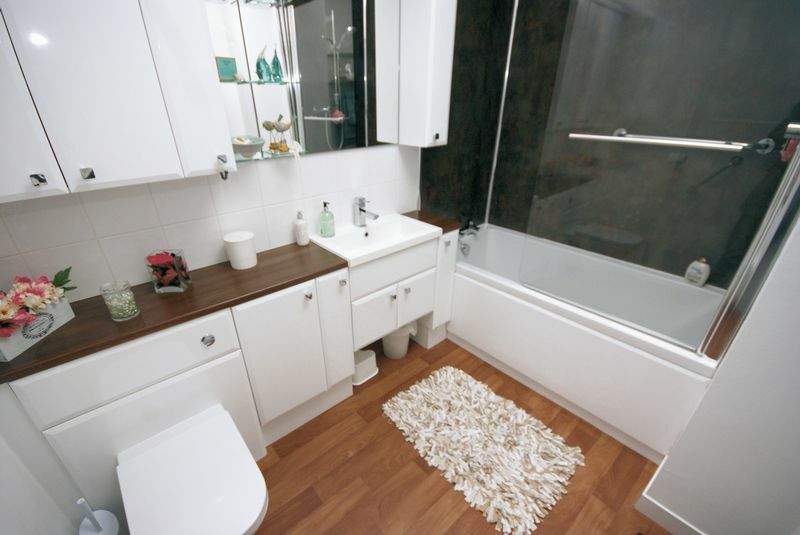 UPVC double glazed window to front elevation, radiator, Karndean flooring, storage cupboard with shelving. Flat ceiling with inset spotlighting, sky light, close coupled W.C with concealed cistern, wash hand basin set in vanity unit with mixer tap, panelled bath with mains shower over, radiator, vinyl flooring, extractor fan. 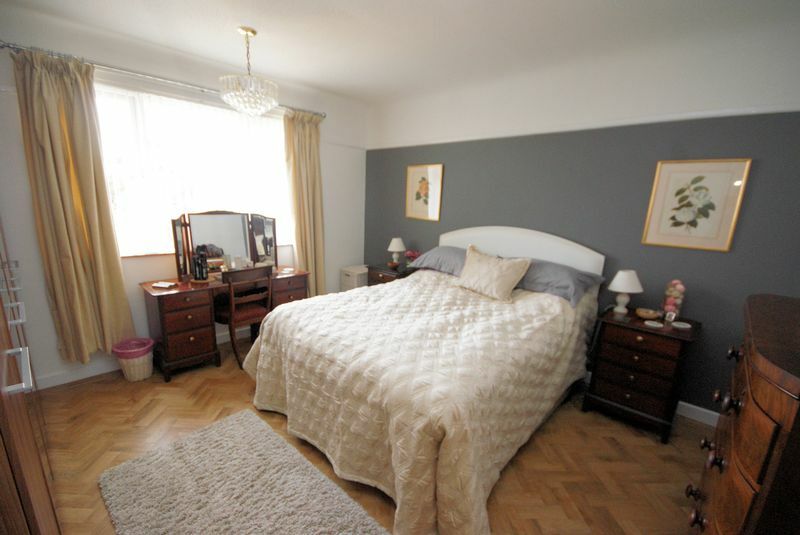 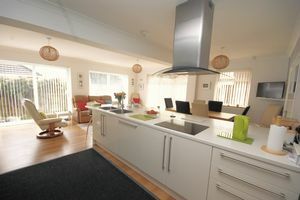 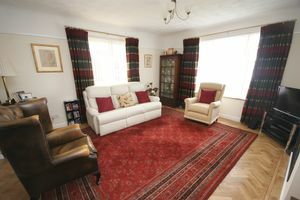 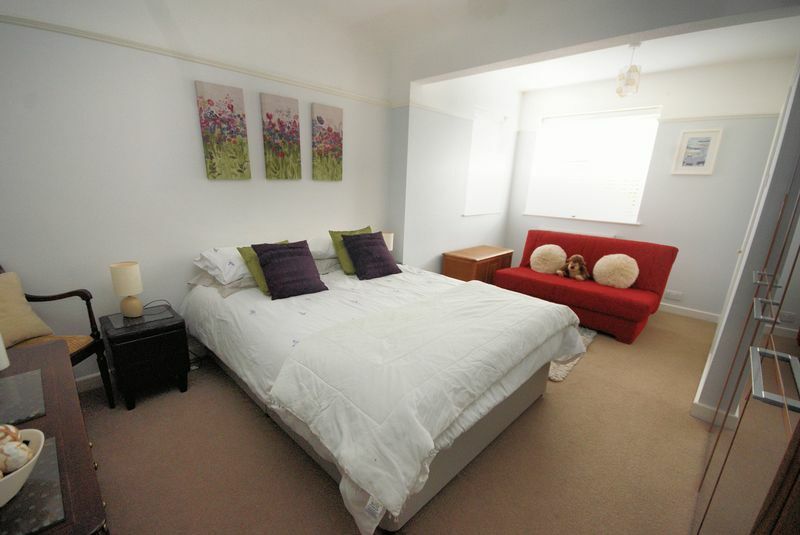 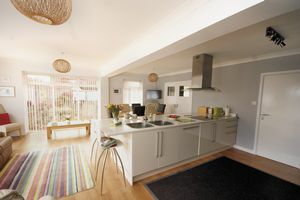 The property is positioned on a corner plot and enjoying gardens all round. 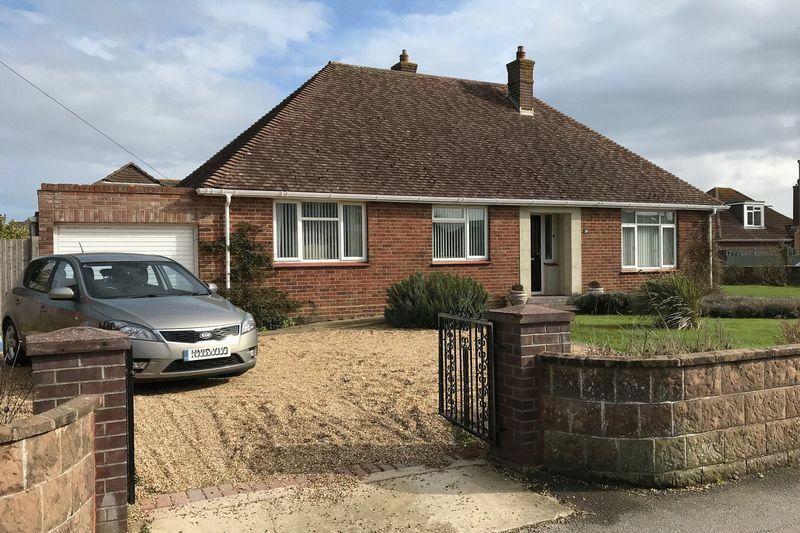 The front and side gardens are mainly laid to lawn with a fine array of flowers and shrubs, gravelled driveway providing ample off road parking and access to garage. 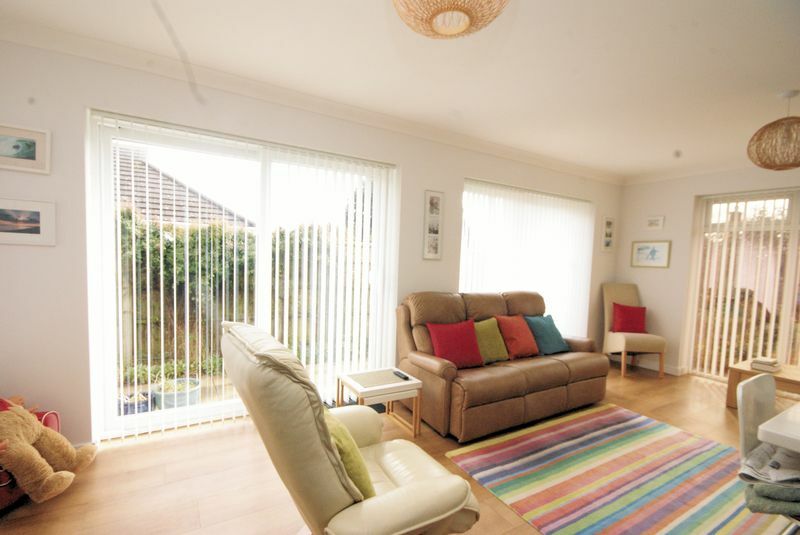 The rear garden is enclosed and laid to lawn, patio area, pond, outside lighting and two water taps . 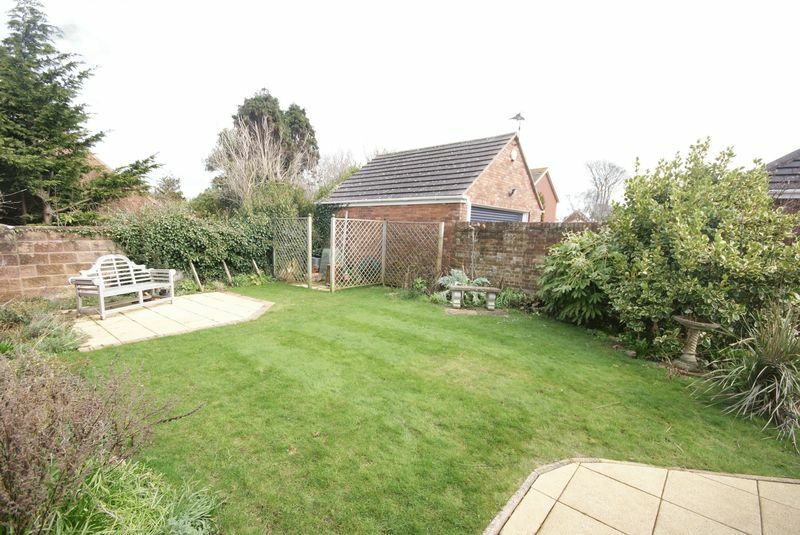 A further gate leads back to the side garden, electric socket, garage with window and courtesy door.